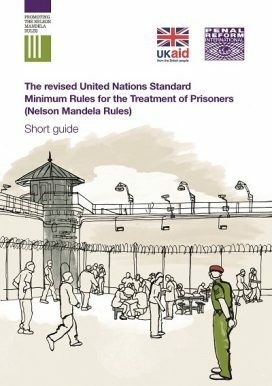 This Short Guide summarises the 122 Rules of the Standard Minimum Rules for the Treatment of Prisoners which were revised by the UN in 2015. The Guide, which outlines the minimum standards that should be applied in prisons from admission to release, will be useful for policy-makers developing national prison management standards and guidelines and for prison authorities and personnel putting them into practice on a day-to-day basis. A summary of the revision process is included and Rules that were new in 2015 are highlighted throughout. Click here for more information about the revision process and more useful resources on the Mandela Rules.